We mapped light pollution from oil and gas fields and found they outshine American cities — and that's bad news for birds. We mapped light pollution from oil and gas fields and found they outshine American cities — and that’s bad news for birds. For birds the consequences of light pollution can be deadly. The loss of features normally visible in an unobstructed night sky, along with the attraction of artificial lights, often throws birds off their migration paths. Some have been known to fruitlessly circle bright natural-gas flares, unable to navigate away from the light and as a result lose close to half of their body weight in one night. Artificial light can also degrade habitat quality and disrupt predator-prey relationships. 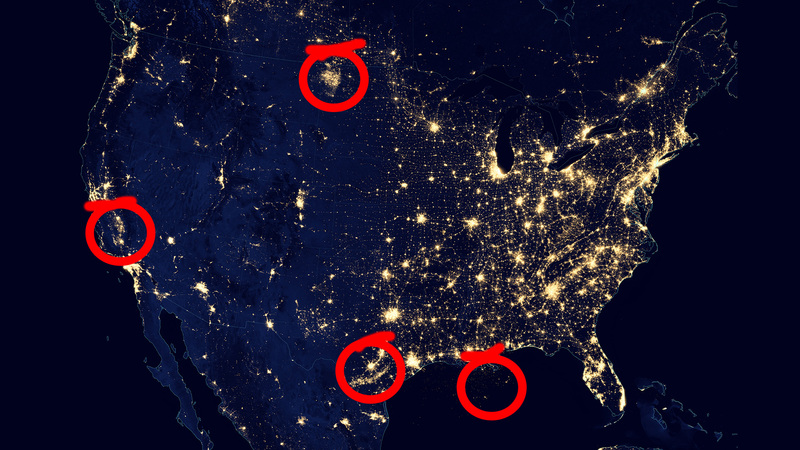 These problems aren’t limited to big cities — massive oil and gas development projects, often located far from populated areas, are incredibly bright affairs that produce light pollution on a scale few people realize. The infrastructure built up around these sites is well-lit for navigation, while excess natural gas that’s unprofitable to transport is burned off on-site. This can turn an underground petroleum deposit into a blazing field of fire on the surface. How bad is the problem of gas flaring? We mapped the light pollution caused by some of the highest-producing oil and gas operations in the country. In addition to the brightest hubs of light, the less intensely developed areas of oil and gas sites can sprawl across multiple counties – and while they are less bright than cities, they still have significant ecological impacts for birds. Is there a solution to this problem? Sure. Longcore says, “the best way to remove these impacts is to avoid development of energy systems in wildlands.” That would help make sure that dark night skies remain available for birds and other species that depend on them. Just how bad has light pollution gotten in your area? We’ll show you — right down to your zip code. Photo of San Ardo oil field by Drew Bird Photography. The simulation was based on information in A Physically-Based Night Sky Model by Jensen et al. Light pollution data: Version 4 DMSP-OLS Nighttime Lights Time Series Year 2013 Satellite 18 – Average Lights x Pct for gas flaring volumes, by NOAA. Oil and gas development sites were chosen from a list of the most oil-rich areas in the country that were also geographically isolated from populated areas, and therefore suitable for analysis. The outer limits of the oil and gas development area were manually defined based on geographic production well data produced by The FracTracker Alliance. Any census populated areas within those boundaries were erased. Average city brightness was calculated using the NOAA light pollution dataset and Urban Area boundary shapefiles provided by Census.gov. A sliding scale of the brightest section, i.e. the highest values of the light pollution data layer was applied to obtain multiple versions of mean/average brightness values for each oil and gas production area in order to find suitable city matches. Oil and gas development areas were then matched with the most well-known city having the same average brightness and total area. is an ecologist who uses data visualization and design to communicate environmental issues in her role as The Revelator's visual storyteller. 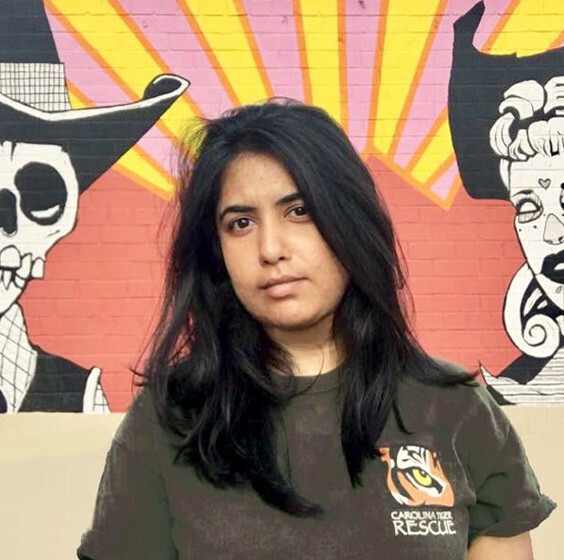 Her interdisciplinary work originates in her background in environmental health research as a veterinarian, a graduate degree in conservation science, and a lifetime spent creating webcomics and animations for fun. Subscribe to The Revelator’s weekly newsletter.